Just one more cookie recipe. Because Baring with me would just be weird. This is a good recipe. A really really good recipe. 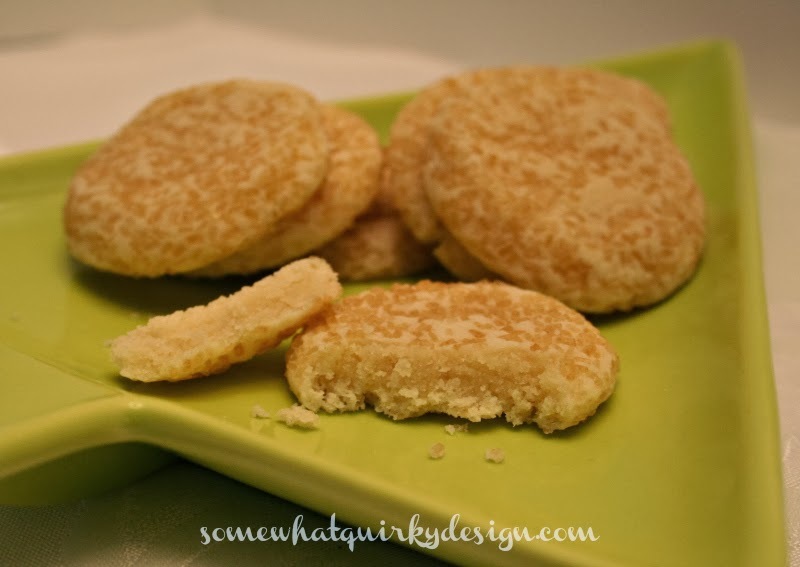 The texture and taste of these sugar cookies is like the sugar cookies that make you moan they are so delicious. These are flavored with almond, but you could use any flavoring. I got this recipe from Confections from the Cody Kitchen. I think she might have gotten waylaid by life, because she hasn't posted much in 2013. She should have kept blogging. She's got some great recipes. If you like soft, perfectly textured sugar cookies, this is your recipe. I mean. Look at the center of that cookie! Place silpat or parchment paper on cookie sheet. Cream sugar, butter and shortening. Beat in eggs and almond extract. Beat in dry ingredients 1/2 at a time. Roll 2 tsp of dough into a ball, roll through sugar, and place on cookie sheet. Bake cookies for 7 minutes. DO NOT BAKE MORE THAN 7 MINUTES!!! Remove from oven and gently press the tops of the cookies flat with the back of a spoon while they are still warm and pliable. (The cornstarch keeps them from spreading so they will be mounded up). Return bowl of dough to fridge in between baking batches. 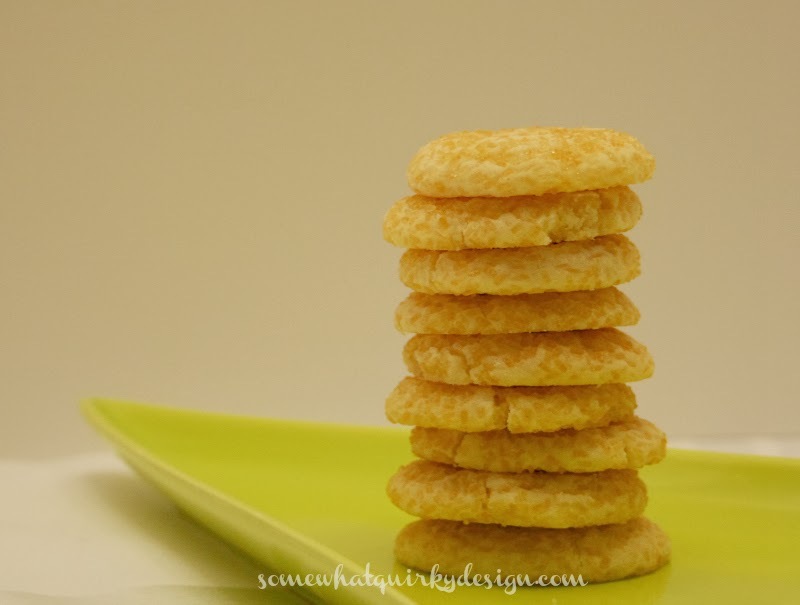 If you would like to see this recipe with pictures that show each step just click here. She teaches you stuff, too. Like that cornstarch keeps the cookies from spreading out. 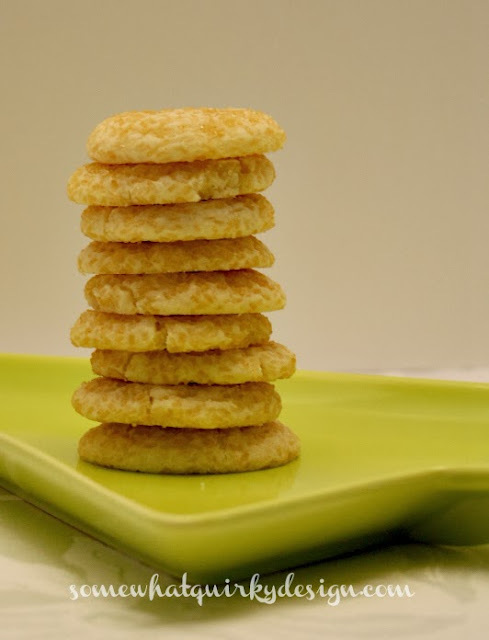 Now, I'm going back to Confections From the Cody Kitchen to find some other great recipes! I think Ooey-Gooey Red Velvet Chess Squares are next . . . 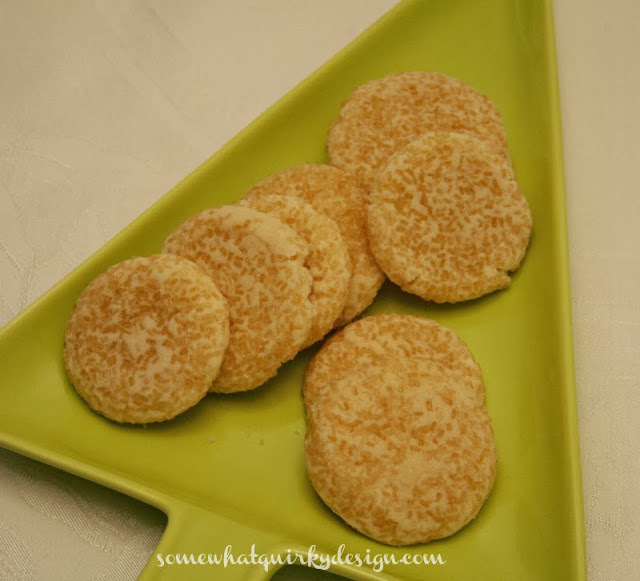 These look Fantastic and I love a good soft cookie especially with almond flavoring in them. I bet these would be pretty rolled in colored sugar. Heaven, heaven, heaven! And a great laugh for the morning with bear/bare! Looks delicious and tis the season..well almost! Hi. New to ur blog. Just voted for your piece on Perfectly Imperfect's site as the best of 20 MMS painted pieces. Just beautiful. I've tried searching for a post on ur blog for the green painted piece you have in your heading. Can you tell me which post talks about that? Love the color and the very unusual handles! Thanks. Thank you! Yes I missed that check box so just planned to keep checking back. I'm a new reader all-together, and checking blogs via my bookmarks is so time-consuming. Gotta understand "readers" and RSS and get all that going! Thank you for your prompt reply. Hope you win on Perfectly Imperfect!